If you are considering a family getaway, you do not want to live more than about three hours from your vacation home. You want the vacation home to easily accessible for everyone in the family. You also want to make sure there are plenty of activities for different age groups. Central Florida real estate meets the criteria of having many things for your family to do. Home of Disney World, Epcot, Universal Resort, Daytona Speedway, and many other venues for fun and entertainment. The size and composition of your family will affect the number of bedrooms or the amount of sleeping accommodations, as well as the number of bathrooms and square footage. You may be considering a second home to live in for a portion of the year or permanently. If so, you should know what it is like to live in your chosen location for longer than a few weeks. Transportation, nearness of shopping, and the availability of city services are all extremely important if you plan on staying in the home for an extended period of time. Repairs and Other Expenses - It is estimated that your repairs will cost about 1.5% of the home’s value. For a home valued at $100,000, that would be $1500 a year. Additionally, updates and replacement of fixtures may be required. Insurance - If the home you purchase is in a hurricane or flood area, or empty a portion of the year, your insurance bill may be high. Local Economic Growth - You want your investment to appreciate in growth so that your home will increase in value. Therefore, the growth of the local economy is important. Remember that it is unlikely that you will rent your property every month of the year, and you need to be realistic about how much income your vacation home will actually generate. Visit some areas in Central Florida. You need to explore areas in Central Florida and check out the amenities offered to see if they meet your needs and the reason you are considering your purchase. Try visiting at different times of the year so that you know what the weather is like and how many people are there. Stay in your preferred location for a short visit. Once you think you have found your preferred location, stay there for a week or two to make sure you will not get bored on an extended stay. Remember that a rural area or small town may be inconvenient and lonely. Statistics disclose that only about 1/3 of vacation homes are actually purchased in small towns or rural areas. Visit both during peak season and when the area is quieter. Find out what is happening in your preferred area during the entire year and at different times of the day. Certain times of the year may be overly crowded or too boring. Additionally, some businesses may be seasonal and not open all year. Be careful you do not purchase a vacation or second home that is more than you can afford. Remember that you may not be able to be there all of the time, in which case you may need someone to manage your property. Also, unexpected home expenses often materialize. Remember that you can always buy a bigger or fancier home later. Taxes on a second home need to be taken into consideration. If you are renting the property, you will need to pay taxes on the rental income. You also will have real estate property taxes. Your professional real estate agent can provide details about the taxes in the area where you want to purchase your home. Find out How Long the Property Has Been on the Market. If the home you are considering has been on the market for a long time, it may be that the house is priced too high. Your real estate professional may be able to negotiate a lower price for you. The age and condition of the home is important to know before you make an offer. Some things you will want to check are the age and condition of appliances, the condition of the roof, and the presence of termites. A home inspection can disclose potential problems. Trash pickup, clean and drinkable water, and maintenance of roads and sidewalks all are important in the community in which you purchase your home. Identifying average home prices in your target area. 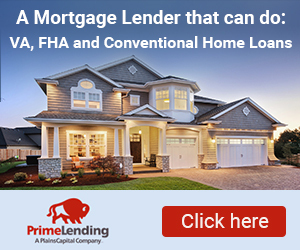 Obtaining financing for your home purchase. Find the property tax rate for the home you wish to buy. The threat of the sea level rising and expected future insurance rates for beachfront property. Our guide to buying a second or vacation home in Central Florida is a comprehensive look at all of the things one should consider before purchasing your home. Take your time and work with a real estate professional to be sure the home you choose meets all of your needs and desires, whatever they may be. Your dream house in Central Florida is waiting for you!